Founded in 1987, the Singapore International Film Festival (SGIFF) is the largest and longest-running film event in Singapore. It has become an iconic event in the local arts calendar that is widely attended by international film critics; and known for its dynamic programming and focus on ground-breaking Asian cinema for Singapore and the region. Committed to nurturing and championing local and regional talent, its competition component, the Silver Screen Awards, brings together emerging filmmakers from Asia and Southeast Asia while paying tribute to acclaimed cinema legends. With its mentorship programmes, masterclasses and dialogues with attending filmmakers, the Festival also serves as a catalyst for igniting public interest, artistic dialogue, and cultural exchanges in the art of filmmaking. 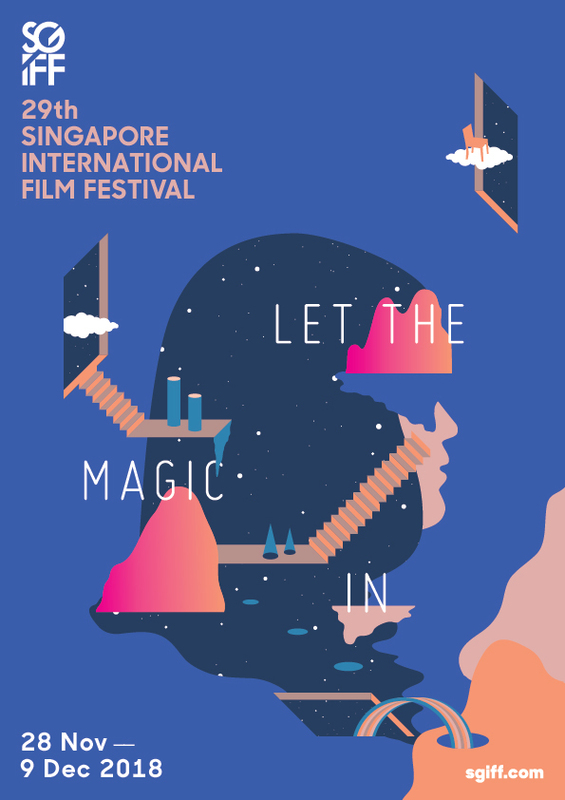 The SGIFF is organised by the Singapore International Film Festival Ltd, a non-profit organisation with Institution of Public Character (IPC) status. The Festival opens its 29th edition with director Ho Wi Ding's Cities of Last Things. The Special Presentation section brings a gala showcase of anticipated films from directors Mag Hsu and Hsu Chih-yen from Taiwan, and the prolific Mikhail Red from the Philippines. One of the most anticipated sections in the Festival, Films In Competition: Silver Screen Awards promise some of the boldest, most insightful, hidden gems to come out of Asian cinema today. The Asian Feature Film Competition presents the most provocative first to third feature works, while the Southeast Asian Short Film Competition teases with its exciting new voices. The Films In Competition are previewed by an international jury and screened to the public throughout the Festival period, which culminates in the Silver Screen Awards presentation, held on 8 December 2018 at The Capitol Theatre. Presenting new works by both renowned auteurs and future visionaries of Asian Cinema, Asian Vision charts the most exciting developments shaping the film landscape of Asia today. It places the Festival's position in Southeast Asia within the greater context of Asian cinematic traditions, and expands the cross-cultural dialogue for our local and regional audiences and filmmakers. Featuring new films by established and upcoming international filmmakers, Cinema Today looks at the fast-changing perspectives of World Cinema. Look out for discoveries from countries such as the Czech Republic, Chile and Mexico, playing alongside the year's most exciting titles from Sundance, Cannes, Venice and Locarno. Focus – Docu-Memories – a glimpse into Taiwanese Documentary Cinema. This year's Focus presents recent developments in Taiwanese documentary cinema. Comprising a tradition dating back to the pioneering works of the 1960s, these films are so much more than mere historical documents—they feature an astonishing energy and an intimacy with the social issues of their time. Together, the selection offers a piercing insight into a burgeoning nation. In partnership with Taiwan Docs project under Taiwan Film Institute. Learn first-hand from our directors-in-attendance and guest filmmakers as they share their experiences and insights on their career beginnings and love for film. In Conversation brings you closer to our festival guests, from the biggest stars to renowned figures in filmmaking, in a candid and personal setting. Love Me, Tease Me is an omnibus commissioned by A-List, featuring 10 shorts by 10 exciting young Southeast Asian directors. Each director's interpretation of this theme is different: Some are melancholic, some packed with fun. Some play with time and space, some involve out-of-this-world experiences... there's even a non-human one. Whatever you make of the premise, the collection is sure to stretch your imagination.